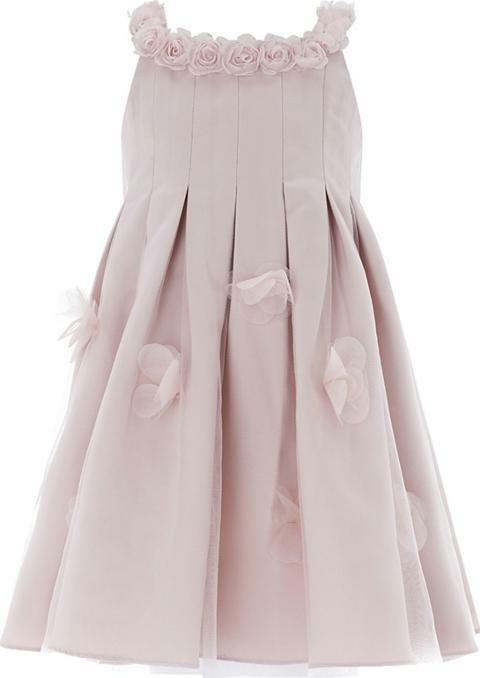 Monsoon Baby girls' pink 'Kali Rose' dress. Dress her in prettiness beyond compare, thanks to our Kali Rose dress for baby girls. Decorated with a layer of netted flowers over satin, this party perfect style has an extra special feel. Box pleats create a full effect, and it features button fastenings. Fully lined. Color Pink. Size 6 12 months.